Let’s face it, not everyone is a 9 to 5 kind of person, some people thrive on being their own boss and setting and achieving their own goals. 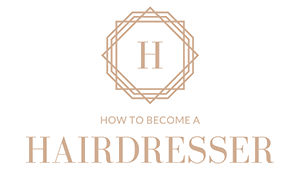 One of the biggest benefits of becoming a mobile hairdresser is that you will have the freedom to set your own hours and work as little or as much as you want to. Gaining a good amount of experience is advised before venturing out on your own, at a minimum we recommend two years salon experience to give you a good start to developing your people skills as well as building relationships with clients. Being a mobile hairdresser you are your own boss, you can schedule your clients at times mutually suitable and you are not limited to opening and closing times of a salon. This is one of the huge advantages you have over a regular salon and clients will love you for it. Not only that you can spend that little bit of extra time with them if the need arises and your schedule allows. But to keep those regular clients coming back you need to be on hand to take their calls or if you can’t be prepared to get back to them pretty sharp to retain their business. Organisation will be key, remember when you are out and about or in the middle of a blow wave there is no one around to take your calls and get back to potentials clients on your behalf. So staying focused and being overly organised will keep you and your business ticking along nicely. Also ensuring that you have a working and reliable mode of transport and that’s its fully stocked with all your equipment and supplies, you don’t want to get to an appointment and be asked to do something with you didn’t bring the right tools for. A major part of working for yourself is being able to sell and promoting your business. The best place to start is ensuring you keep a strong presence on social media, keeping for example your Facebook, twitter and Instagram pages up to date on current trends and posting your latest styles will be sure to keep your followers interested. You may not have a bricks and mortar salon to show of your flair and style but getting yourself online with a website will be how you really show off your personal style and accomplishments, not only is this the façade of your brand but you can use it to build your clientele using search engine optimisation (SEO) to gain traction on google and other search engines and set you apart from your competition. These days websites don’t need to cost you an arm and a leg, places such as Wix lets you build your own beautiful website at a fraction of the cost of going through a professional web design studio. Not sure where to start? Read our article on easily creating an online portfolio for your business. And let’s not forget the most the power of who you know, word of mouth can be a hugely effective tool for marketing your business, keep yourself open to networking and meeting new people and not being afraid to self-promote when the opportunity arises. Owning your own business and stepping into the world of entrepreneurship is daunting to say the least so don’t be afraid to go back and further your studies with a course such as Certificate IV in Small Business Management, being a wiz at styling hair is one thing but running a business can be a whole other ball game, so don’t be afraid to hit the books and get ahead of the game.